Botanical Blooms is a fairly recent purchase for me and one I was really hoping was going to carry over but sadly that’s not the case. It’s definitely one of the sets that I will not be parting with as its perfect for any kind of floral card which as you know I love. If you’ve not picked it up yet I’d highly recommend it. 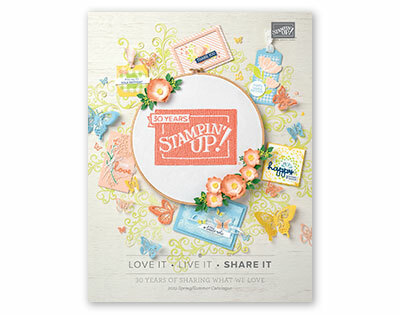 This card has a Marina Mist base with Soft Sky and Dapper Denim added to create the flowers. The leaves are stamped in Pear Pizzazz and Old Olive and looking at this it might be time to re-ink my Pear Pizzazz ink pad. 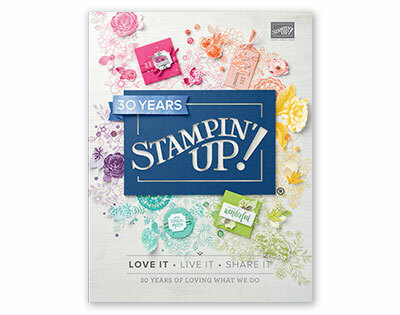 The greeting which is stamped in Dapper Denim comes from the One Big Meaning stamp set. I finished this card off with a little Ruched Ribbon in Dapper Denim. I make a second card with a purple colour scheme using Rich Razzleberry as the card base and adding Sweet Sugarplum and the new Fresh Fig as additional colours for the flowers. As the Sweet Sugarplum Ruched Ribbon has already sold out I decided to use some enamel dots as embellishment for this card. Which is your favourite blue or purple, I think the blue version has a slight edge but that could be because I’ve remembered what a lovely blue Marina Mist is.